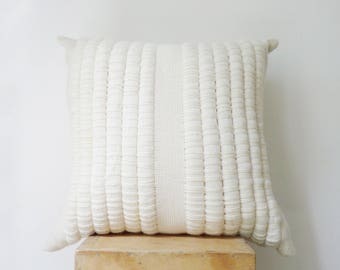 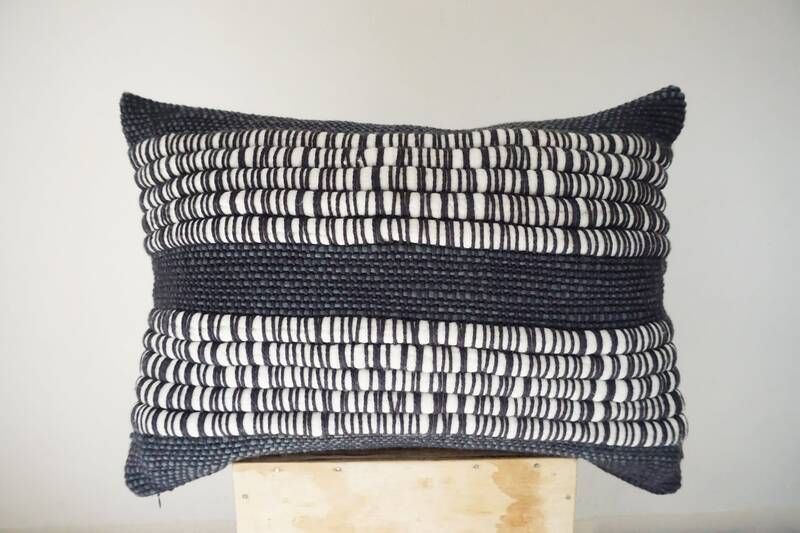 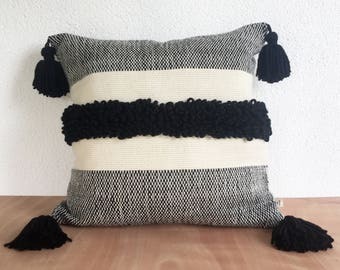 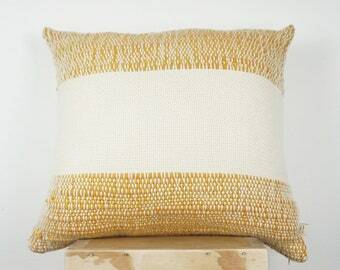 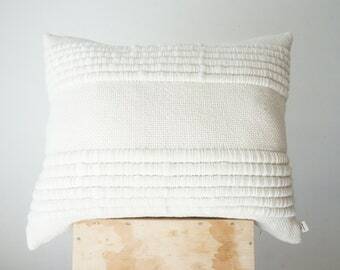 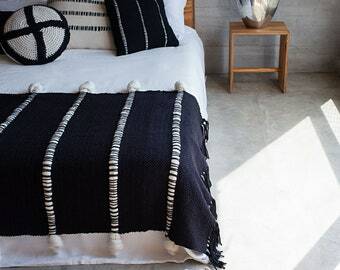 Chunky woven organic pillow case is made with merino wool with striped roving merino wool fibers and hand dyed grey yarn. 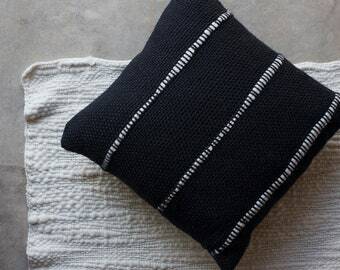 You can use as a cover sham for your bed or take it outside to lay at the sun, or inside to see a movie. 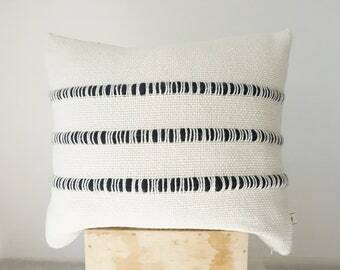 Perfect for sit down an talk hours! 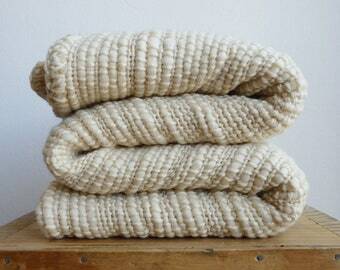 Grey and cream (natural color wool).